For many gardeners, proper pruning can be intimidating. Trying to understand when and how to prune shrubs can seem confusing, but it really is pretty simple. Recently, LoveToKnow spoke with professional gardener Carol Chernega about what every gardener should know about pruning shrubs in their landscape. Carol Chernega has been gardening professionally since 1992. She discovered many clients wanted to be able to do their own pruning but felt it was too complicated to understand. This inspired Carol to begin educating people on how easy it really is to prune shrubs properly. LoveToKnow (LTK): Explain why pruning is important. 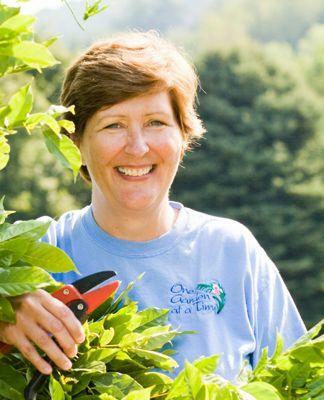 Carol Chernega (CC): Pruning is important because it keeps your garden from getting overgrown and wild-looking. It also helps to keep the plants healthy. LTK: What are some common pruning mistakes? CC: Pruning mistakes: shearing everything is the most common mistake. Shearing means that you take hedge clippers and just hack away at everything in sight, with no regard to where you make each cut. This is bad for the shrub because it will encourage lots of new growth just at the ends of each branch. This then creates a dense outer layer of branches, which stunts the growth on the inside of the plant. Later, when you want to prune a lot, you can't because you'd be left with a bare plant. The other common mistake starts with the original placement of the plant. Most people plant things too close to the house, or too close to other plants. Then when the shrubs get overgrown, they have to be drastically cut back which is stressful to the plant. Here's a good rule of thumb - read the plant tag and see what the mature width of the plant is. If it's, for example, four feet wide, then don't plant anything else within four feet of that plant. And keep it at least four feet from the house. This will make sure things don't grow into each other in the coming years. LTK: How can improper pruning damage shrubs? CC: Improper pruning can create weak branches that are then more susceptible to wind, snow and ice damage. LTK: Are all shrubs pruned basically the same? CC: The basic principles of pruning apply to all shrubs. The most important principle is to identify the plant so you know what its natural habit should be, and then prune to maintain that habit. There are other plants, like fruit trees, that need a specialized approach to pruning in order to increase fruit production. LTK: How do you choose the best tools for pruning? CC: I recommend three basic pruning tools: A hand pruner for branches that are under a half inch diameter, a lopper for cuts up to an inch and a half, and a saw for thicker branches. These should be all most homeowners need. Buy the highest quality tools you can afford, and even more importantly - take care of them. Wash them with soapy water after each pruning session to get rid of small bits of wood that will jam them, and also to wash away any insects and disease you might have picked up during work. Dry them and then spray with a little household lubricant so they're ready for your next session. LTK: What key points are important to know when pruning shrubs? Cut out dead and damaged branches. Cut out suckers that are coming up from roots. Cut out crossing branches that are rubbing or might rub each other in the future. Cut branches that are going the wrong way from the natural shape of the plant. LTK: Are there any shrubs that should not be pruned? CC: Viburnums and magnolias don't like a lot of pruning. They'll send up a lot of suckers if they're pruned a lot. So be sure to plant them in a space where they'll have lots of room to grow and don't need to be pruned. LTK: When is the best time to prune shrubs? CC: The best time to prune shrubs is when you have time to do it! Following complicated charts on when to prune this and when to prune that is just too complicated. Unless you're doing a drastic pruning, it really doesn't matter. If you're really worried about losing flowers, then most shrubs can be pruned just after flowering. LTK: What else would you like to share about proper pruning? CC: If you go around your garden once a year and follow the steps listed above, that's all you should have to do to keep your garden looking beautiful and keep it healthy. If you would like to see how proper pruning is done, you will enjoy Pruning Shrubs with Your Personal Gardener. This DVD by Carol Chernega demonstrates how to prune over a dozen different shrubs. You can order this 63 minute DVD from Carol's website, One Garden at a Time. LoveToKnow would like to thank Carol Chernega for taking the time to share her advice on proper pruning.